Megan Rapinoe scored twice and Seattle Reign FC defeated the Chicago Red Stars 4-1 on Thursday to put a further dent into Chicago’s playoff ambitions. With a game in hand, the Chicago Red Stars entered Thursday’s match knowing a win would put them within two points of the Western New York Flash and the fourth and final NWSL playoff spot. But the loss keeps Chicago (6-7-4, 22 pts.) stuck five points adrift of the playoffs with five games to play. 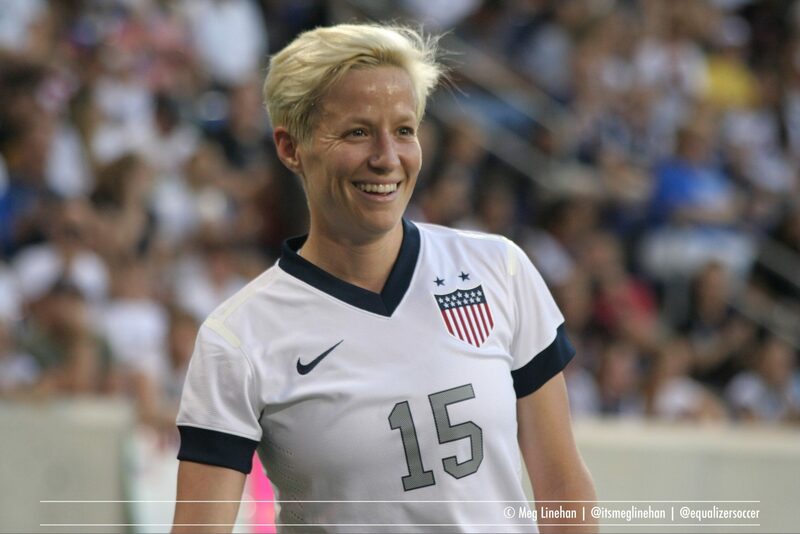 Rapinoe opened the scoring in the 6th minute on a low free kick from just above the corner of the 18-yard box. Jess Fishlock jumped over the shot in traffic to cause some confusion, and the ball skipped past Chicago goalkeeper Erin McLeod. Rapinoe added her second goal in the 68th minute when she intercepted a giveaway in the back and tapped it around McLeod. Seattle’s lead doubled in the 22nd minute when Kaylyn Kyle finished a penalty kick after being denied a minute earlier by a handball on the line. Adriana Leon kept Kyle’s header out of the goal with her hand following Rapinoe’s corner kick, but Leon was only issued a yellow card for the infraction. Chicago earned a penalty of their own in the 73rd minute on a questionable handball call in the box, but Hope Solo dove to her left to deny Inka Grings’ effort. 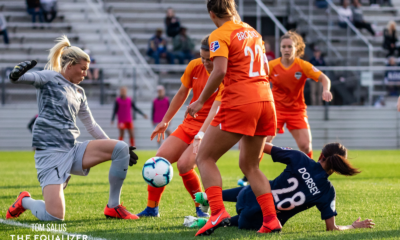 Seattle, however — in the season debut of World Cup and Olympics veteran Stephanie Cox at left back — would not earn its first shutout of the season. Just a minute later, second-half substitute Jennifer Hoy scored on a counterattack for the Red Stars to cut the deficit to 3-1. Thoughts of a comeback were short-lived, though. Liz Bogus iced the game with a goal in the 82nd minute after Rapinoe’s booming long ball put the substitute in behind for her first goal of the season. Seattle improve to 5-10-3 (18 pts.) and are not mathematically eliminated from the playoffs, but they would need to win out and get significant help. Chicago, meanwhile, have the most realistic chance of causing change in the Top 4, but Sunday’s match at Portland just became that much more critical.